Get in touch with nature at Surfers Paradise Beach and Burleigh Heads Beach. Kids will enjoy Sea World Theme Park and Dreamworld. You'll find plenty of places to visit near Gold Coast: Tweed Regional Gallery & Margaret Olley Art Centre (in Murwillumbah), Brisbane (Relove Oxley, Lone Pine Koala Sanctuary, & more) and Tamborine Tea (in Eagle Heights). 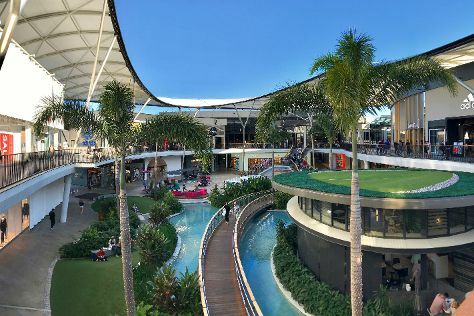 Next up on the itinerary: buy something for everyone on your list at Pacific Fair Shopping Centre, take in the awesome beauty at Tamborine Mountain, find something for the whole family at Infinity Attraction, and revel in the low prices at Harbour Town Outlet Shopping Centre. For where to stay, ratings, maps, and tourist information, go to the Gold Coast trip itinerary maker app . If you are flying in from Malaysia, the closest major airports are Brisbane International Airport and Gold Coast Airport. In May, daily temperatures in Gold Coast can reach 27°C, while at night they dip to 15°C. Finish up your sightseeing early on the 2nd (Sun) so you can travel back home.